This low-carbohydrate side dish will put a smile on your face. You'll never even miss the potatoes. The cauliflower is delicious and the bacon, well, bacon makes everything better. 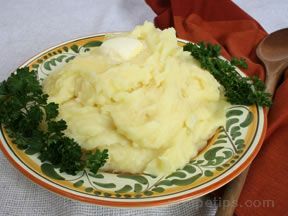 Microwave cauliflower with 2 tablespoons of water for 10-15 minutes until very soft; drain and mash with potato masher. Add butter and cream cheese and mix well. Stir in remaining ingredients. 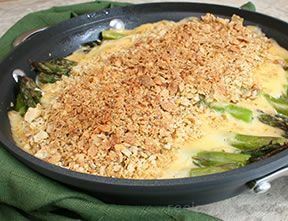 Pour into greased oven-proof casserole dish. Bake at 350 degrees F for 20 minutes or until brown and bubbly. 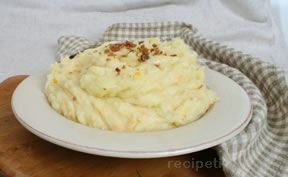 "I used a head of cauliflower and boiled it in some salted water until soft. It was delicious and I thought the leftovers were even better! 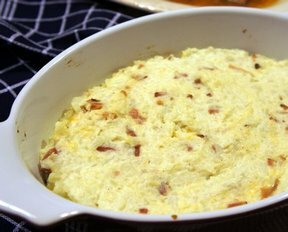 Be sure to get the bacon crispy before adding it into the casserole dish." "This is perfect for our thanksgiving dinner. Thankyou."